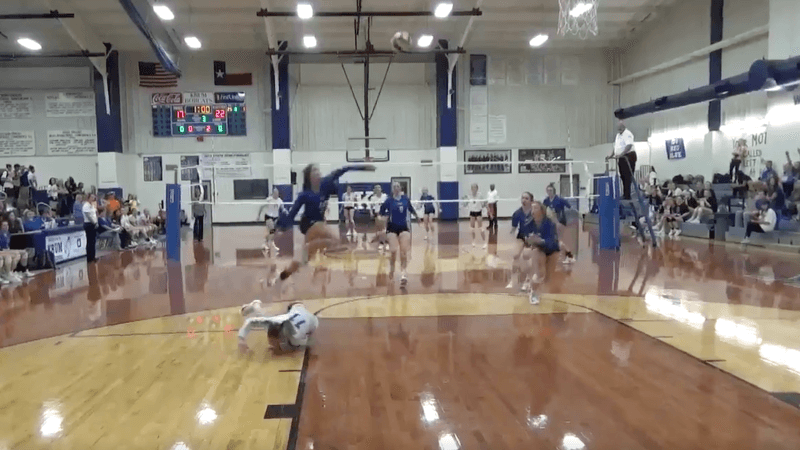 Coming to you from Decatur High School in Texas is what has to be one of the best amateur sports highlights of the year, courtesy of senior Autumn Finney. Finney covered an incredible distance to get to a lost-cause ball in the back, laid out with a dive, and somehow mustered enough power to return it across the court. This is a point that normal high schoolers should not be able to win. (Seriously, I can’t get over how superheroic she looks in that above still.) Watch the whole incredible sequence: here, here, and here. The law of diminishing returns does not exist here.